You&apos;re in Vegas this weekend and you&apos;re ready to PAR-TAAAY. 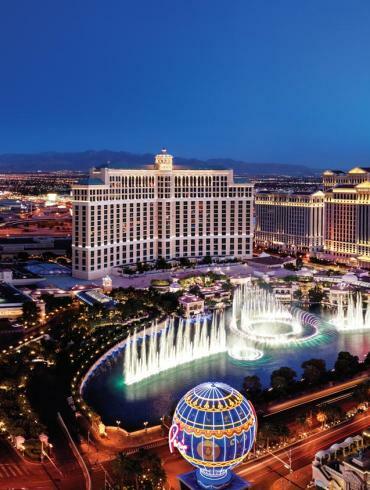 Of course The Strip immediately comes to mind, but if you haven&apos;t heard, Downtown Las Vegas is where you&apos;ll get a totally new experience. 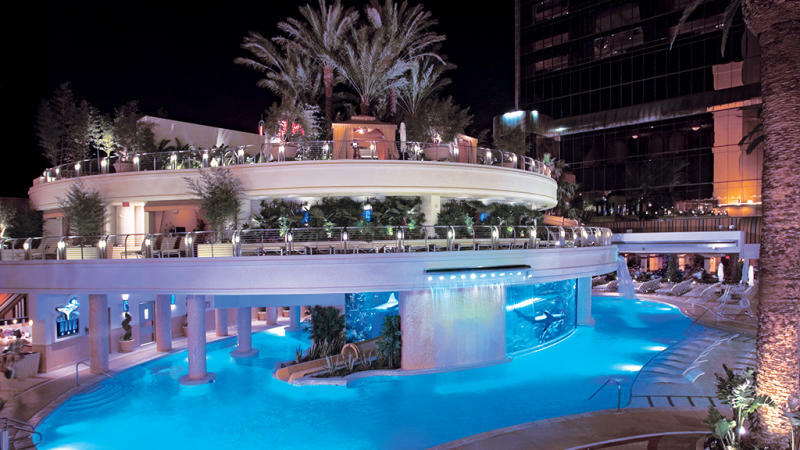 The pool at the Golden Nugget is no joke. Not only is there a 200,000 gallon shark tank you can swim up to, but you can also take a trip down the three-story Shark Chute slide that goes right through it. If you&apos;re up for it, you can even take a Shark Tank tour with one of their on-site marine biologists. The Zappos Tour Experience is a must-do to get a feel for what DTLV is all about. In this tour you&apos;ll check out the everyday life of a "Zapponian" and their culture-filled campus. 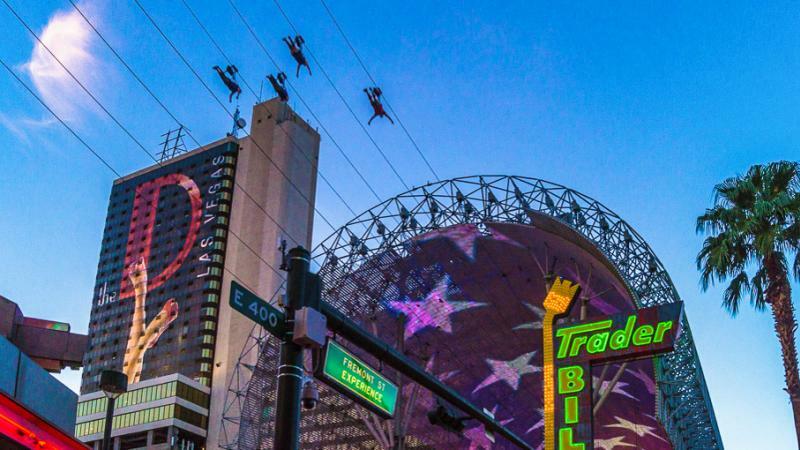 The Slotzilla zip line is taking DTLV to new heights. 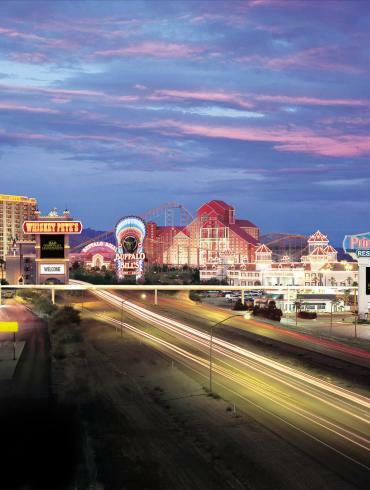 Fly 12 stories over Fremont Street Experience to get a bird&apos;s-eye view of all the action. Flyers travel "Superman-style" down the zip lines at up to 40 miles per hour so adventure-seekers are bound to love this attraction. This is just one of the many free things you can do in Vegas. Check out the $1 Million Display at Binion&apos;s and take a complimentary souvenir photo with it. It holds exactly one million dollars in a pyramid design. The Gold Spike is where big kids go to play. Spend some time in their "backyard" with a variety of over-sized games and live music. In the mood for a little dance party? Head inside to the "living room" that transforms into a energetic house party at night. Howdy, partner! 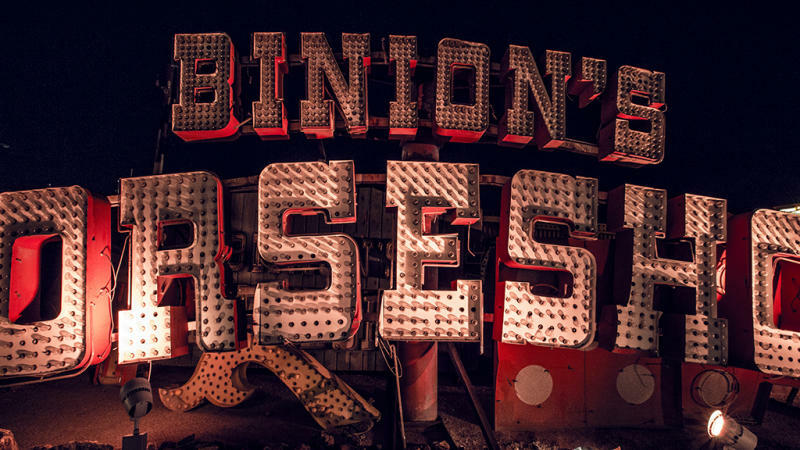 This neon sign was erected outside The Pioneer Club in 1951 and has been a Vegas icon ever since. Now it stands along Fremont Street Experience and waves to passersby. This classic Downtown restaurant in the Four Queens is a date night slam dunk. Hugo&apos;s Cellar serves up old school steakhouse cuisine and boasts an impressive wine list and The best part? Every lady is greeted with a rose. 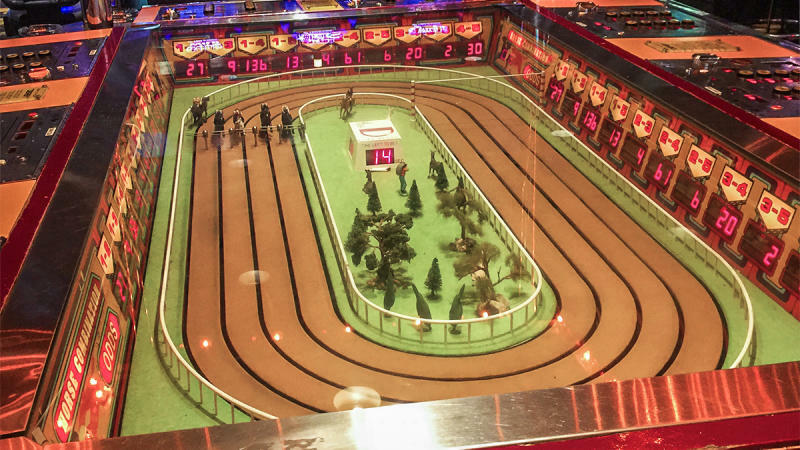 There are only a few of these vintage horse race games left in the U.S. and one is at The D (the other is at MGM Grand). For as little as a quarter, you can bet on the mechanical horses just as you would at the horse races. While you’re at it, be sure to check out the rest of the throwback games on the second floor. The Smith Center is the king of performing arts in Vegas and is a truly world-class venue. They&apos;re home of The Nevada Ballet Theatre and the Las Vegas philharmonic, but host a variety of entertainment from plays to opera. 10. Eat a pasty at Cornish Pasty Co.
Pasties are baked pastries usually containing meat and are particularly associated with Cornwall, England. Cornish Pasty Co. is a DTLV classic—get anything from tikka masala to chicken pot pie inside a pasty. 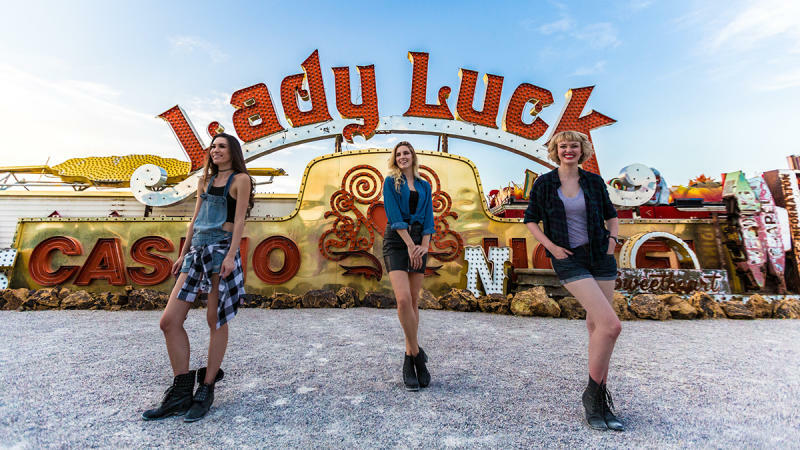 If you&apos;re interested in learning a little about Vegas history, you have to check out the Neon Museum. 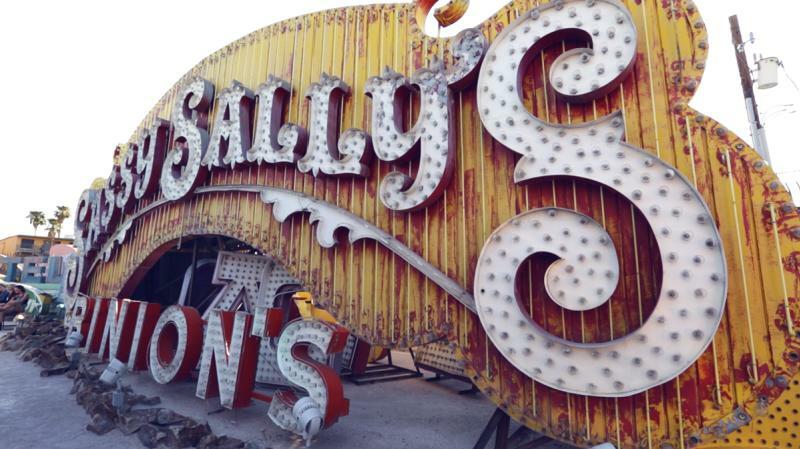 The museum collects and restores vintage neon signs and displays them in their "Neon Boneyard". The gallery includes classic signs like the: Lucky Cuss Motel, The Silver Slipper, Society Cleaners, Binion&apos;s Horseshoe, and more. On the corner of Fremont Street and Las Vegas Boulevard, you&apos;ll find this unique bar and restaurant. Sip cocktails at the bar inside, or bring them out to the back patio where you&apos;ll spot their seesaw. Container Park is an open-air shopping center built with shipping containers. 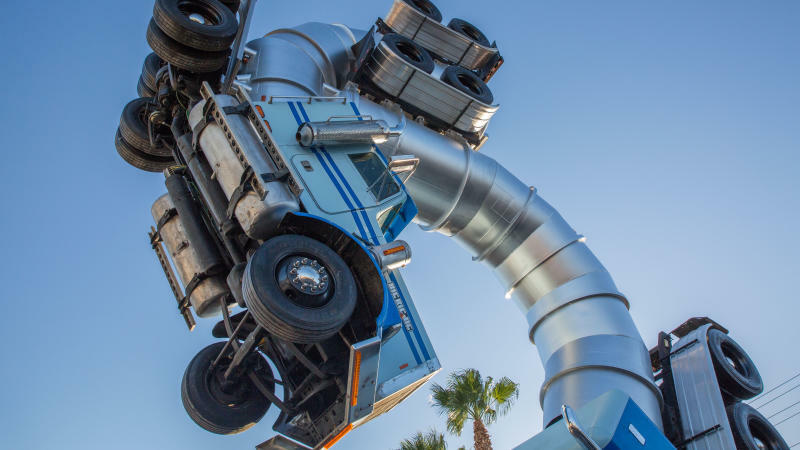 At the front, you&apos;ll spot a giant fire-breathing praying mantis. The operator plays fire-theme tunes through the mantis&apos; seven speakers while fueling fire blasts from its antennae. Visit one of the most classic dive bars in Vegas for some live karaoke! After over 40 years, Dino&apos;s remains a downtown hotspot. Hit up Dino&apos;s any Thursday, Friday or Saturday for karaoke night. This bar is something meant to be discovered; inside you&apos;ll walk beside booths with ouija boards until you reach the hidden dance room concealed by a swinging bookcase. Every night has a themed dance party that packs the house with downtowners shaking it to music videos projected on the walls. 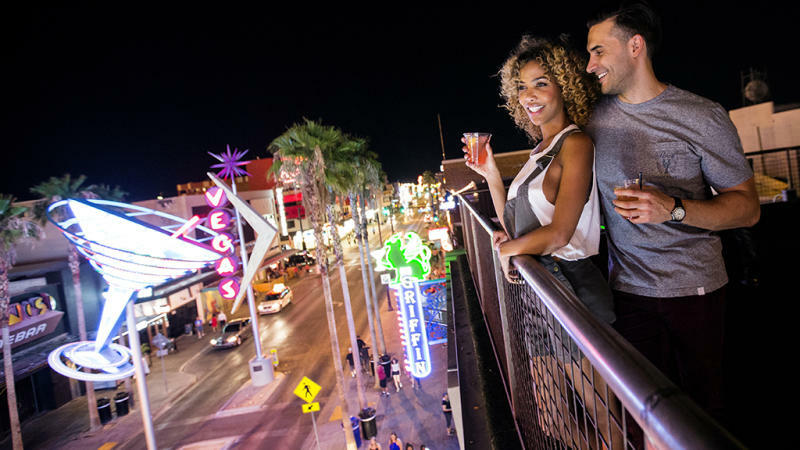 There&apos;s something so cool about soaking up the energy of Downtown Las Vegas as you look over East Fremont from the Inspire rooftop bar. Get in the elevator and enter the city&apos;s largest climate-controlled rooftop lounge and beer garden. 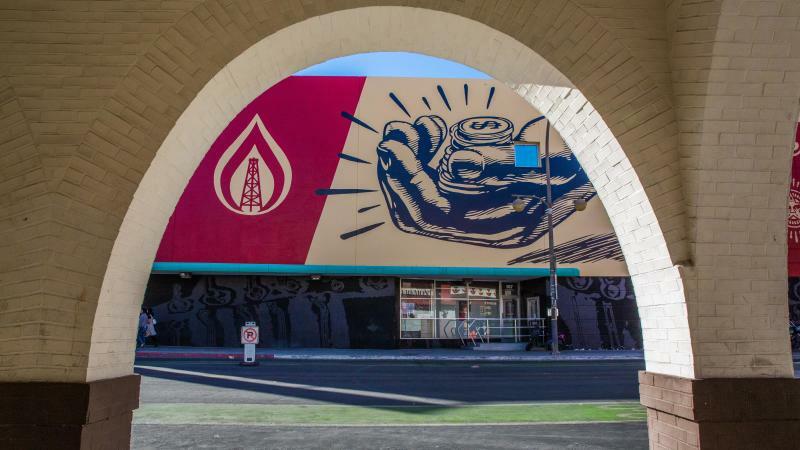 Head to the corner of Fremont Street & N 6th Street and look up—you&apos;ll see Shepard Fairey&apos;s Corporate Welfare mural he painted for Life is Beautiful Festival. Every year the festival brings in artists from all over the world to paint their way through DTLV. We won&apos;t tell you the password, but The Laundry Room is a must-do. Enjoy this intimate, no-photo zone and their menu of specialty cocktails not found on Commonwealth&apos;s menu. To get in, text 702-701-1466 or look for the red light above the door that indicates if there&apos;s room for you. Check out Donut Bar early, because once they&apos;ve sold about 2,000 fresh doughnuts, they&apos;re closed. Owner Santiago Campa one-ups the traditional doughnut with unique flavors and over-the-top mashups. We highly recommend the French toast doughnut. 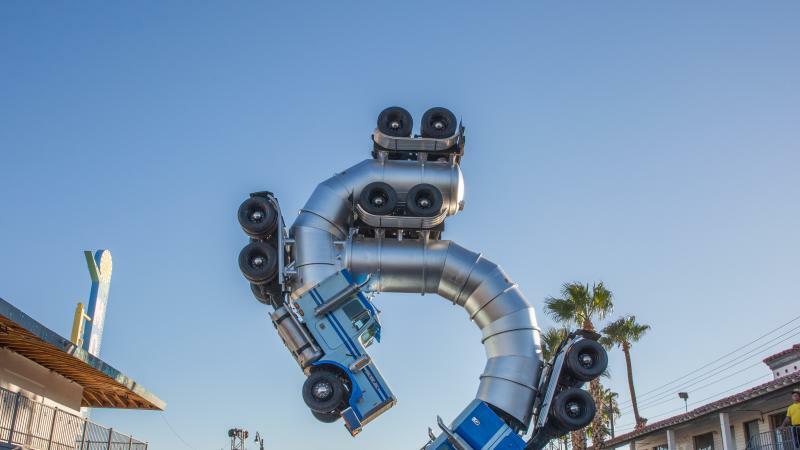 Another Life is Beautiful addition, check out the Big Rig Jig by Mike Ross at the corner of Fremont and 11th Streets. You&apos;ll know it when you see 18-wheeler tanker trucks molded together.